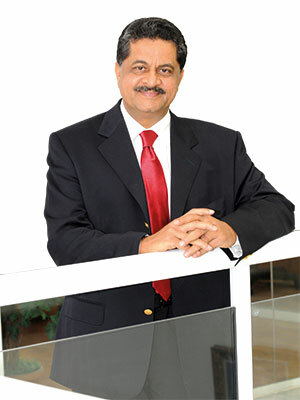 Thumbay Moideen, an entrepreneur with the Midas touch, the force behind the Thumbay Group, has an envious reputation in fields that are as diverse as they are relevant. 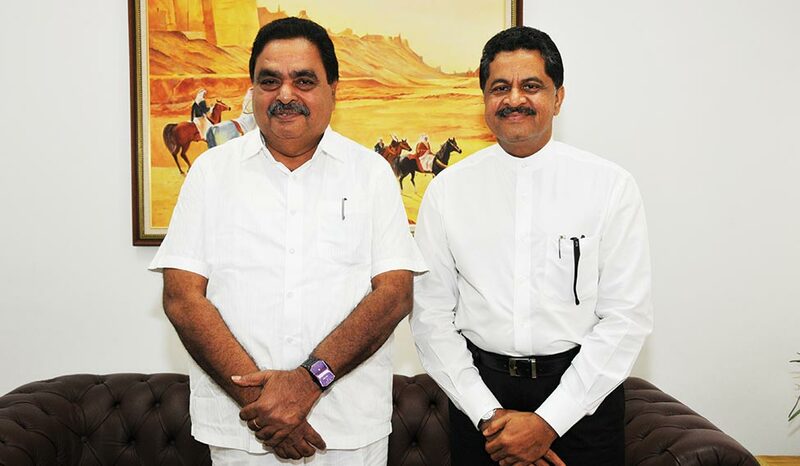 With family-owned real estate business as well as a flourishing timber business, Moideen possesses a natural business acumen, which he first focused on the timber and construction sectors. 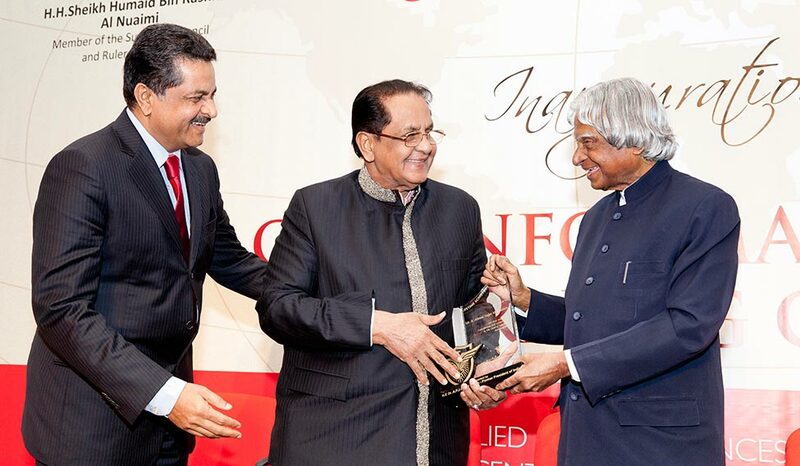 As with any entrepreneur, he nurtured the desire to spread wings and conquer bigger and better markets. This found him entering the UAE in 1997 with ambitious plans to expand the business. What happened then was history in the making. In 1997, Ajman proved to be the ideal place for Moideen to expand his real estate business. Land came at a bargain and the growth rates assured were phenomenal. A chance meeting with the ruler, His Highness Shaikh Humaid bin Rashid Al Nuaimi, led to a discussion on the family business. 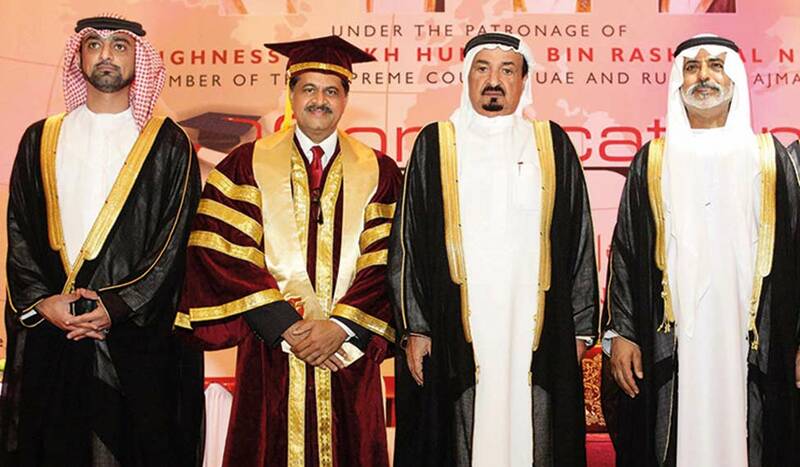 The royal family made a request for setting up such a college in Ajman. 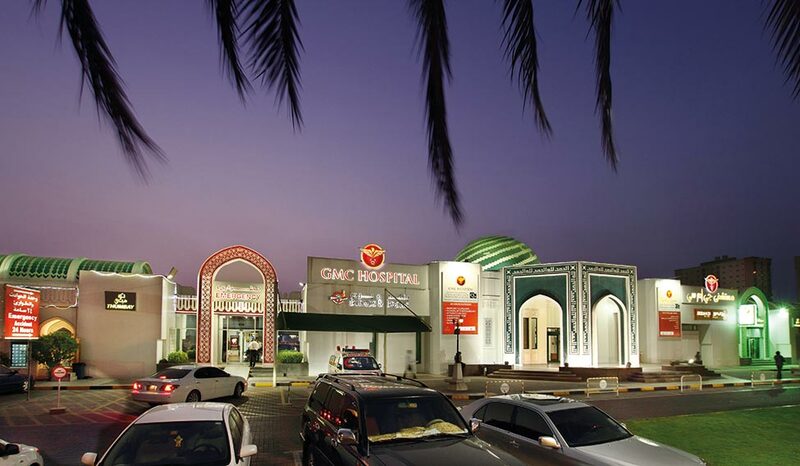 Thus the Thumbay Group was born, as was the Gulf Medical College (currently Gulf Medical University/GMU). It was a tough challenge to take on two decades ago-creating a college on international soil and sustaining it held huge risks. But today, Moideen’s success is clear for all to see. 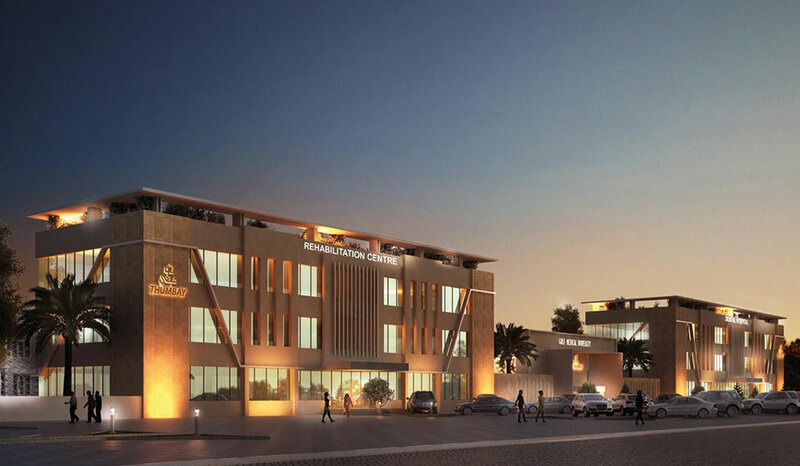 The college was first envisioned to serve the large Indian student population in the Gulf. However, applications in the first year alone were a sign that the college was well received and that it had the scope to take on students of diverse nationalities. A tough change in staffing was undertaken and the college was soon functional. 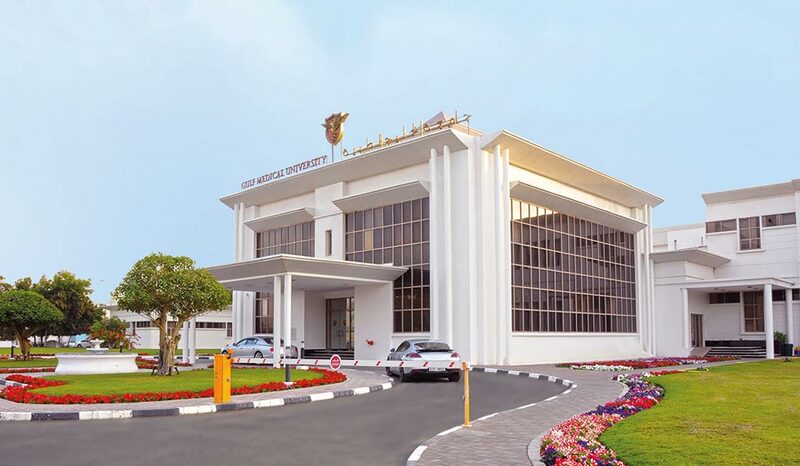 A major challenge in the creation of GMU was convincing the National Health Ministry of UAE that such a university could be run and sustained by an Indian group, while providing quality education. These doubts of the ministry were put to rest when, in three years of functioning, students of GMU were invited to intern in any government-run hospital in the country. Over time, the GMU went on to become an accredited university and was listed in the WHO’s World Directory of Medical Schools as well as in the Foundation for Advancement of International Medical Education and Research (FAIMER). Set up with a large investment, the GMU today is one of the most sought after universities in the Gulf region for medical education. It is the only Indian-owned private medical university in the Middle East. Students from over 73 countries as well as faculty and staff from more than 22 countries converge here and it is now a household name. Besides being pioneers in medical education in the Gulf, the GMU also houses the Centre for Advanced Simulation in Healthcare (CASH), a high-end teaching facility that works on enhancing communication skills, an integral aspect to the personality of a medical professional. The centre also provides demonstrations and opportunities for the practice of clinical skills on simulator models. This ensures that quality healthcare is dispensed by students graduating from this institute. Thumbay Hospitals currently operate in four of the Emirates—Ajman, Dubai, Fujairah and Sharjah. They are the only Indian-owned academic hospitals in the UAE. These hospitals offer medical care thousands of patients from 175 different nationalities seeking trustworthy help. Services are offered in over 50 languages at the hands of well-qualified and experienced doctors. The infrastructure is world-class, ensuring a safe and caring environment to all patients. All hospitals in the Thumbay chain are currently being managed by Moideen’s older son Akbar, a fourth generation entrepreneur. The Centre for Advanced Biomedical Research & Innovation (CABRI) is a world-class inter-disciplinary research centre functioning within the premises of GMU. The main aim is to foster inter-disciplinary research and collaboration between the faculties of GMU as well all its associate hospitals. These efforts are directed towards developing precise healthcare treatment options, creating multiple centres of research excellence as well as building a desire for research among faculty and students. Thumbay Builders is a general construction company and is one among the primary businesses of the Thumbay family, going back a few generations. Besides extensive construction in India, the company has a long list of clients in the Emirates. It is one of the largest construction companies in the Northern Emirates of the UAE. The company is handled by Moideen’s younger son Akram and offers multi-faceted facilities in designing, developing and constructing real estate. Following the path of any ethical and successful business, Thumbay Group has several CSR and philanthropic activities to its credit. These are conducted through the Thumbay Foundation and under the keen supervision of Moideen’s wife Zohra. Among its various charitable works, the foundation provides funding to the less fortunate in the form of scholarships, grants, bursaries, awards, fellowships, endowments and donations. These funds are open to students of all fields. The group also spearheads the Sponsor-A-Medical-Professional programme, wherein the Gulf Medical University gives scholarships to deserving, meritorious students, to pursue medical courses of their choice, through its Care & Share initiative. Thumbay Group’s hospitals have dedicated Patient Affairs Departments which ensue good treatment to the poor at subsidized charges, ensuring that no patient is denied treatment because of his/her inability to afford. They also regularly conduct free medical camps for the public. Social causes such as marriage assistance also come within the scope of Thumbay Foundation’s charitable activities. • ZO&MO Opticals: Set up in 2010, ZO&MO (an abbreviation of Zohra and Moideen) is a chain of optical shops that offers quality optical services and a range of brands for frames, lenses, sunglasses, contact lenses and solutions. All services are automated to a large extent and the chain is a trusted name in the Emirates. • Nutri Plus Vita: Nutri Plus Vita stores aim at helping people work on building up optimal health and fitness through counselling and smart products. Based on the demand in the UAE market, these stores provide the latest international offerings in nutritional care for general wellness and specialised requirements for sports persons. Besides supplements, medical equipment, fitness accessories and special foods are also available here. • Blends and Brews Coffee Shoppe: A Dubai-born coffee shop chain that operates in Ajman, Dubai and Sharjah run by seasoned baristas. Outlets will soon open in India, Ghana & Egypt. By 2017, the number of Blends & Brews Coffee Shoppes is expected to reach 100. • Terrace Restaurant: This restaurant chain presently consisting of 5 outlets functions under the aegis of the Thumbay Group’s Leisure& Hospitality Division. 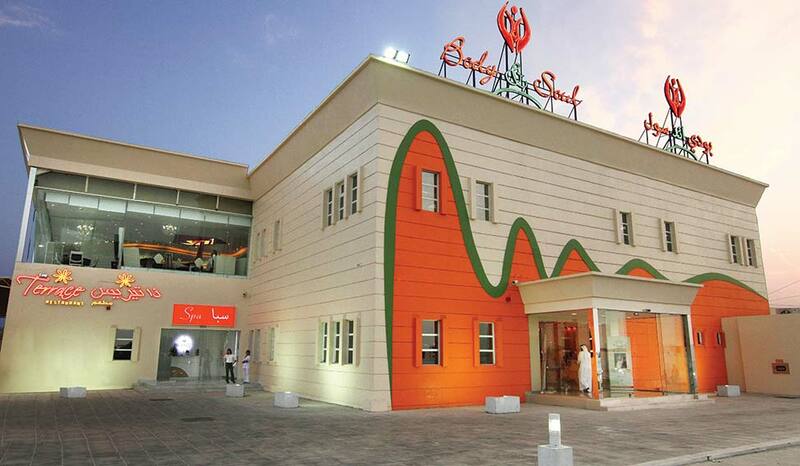 The restaurant’s flagship outlet is located in the GMU campus in Ajman. Detailed attention is paid to the creation of food by qualified and specialised chefs. These are spaces where services are on par, if not better, than 5-star establishments. Services cater for all age groups and to all the residents of UAE. Presently, there are 6 outlets in the UAE. It is being launched in India, Ghana & Egypt, shortly. The business is managed by Moideen’s daughter-in-law Nousheen, who also handles the health magazine of the business empire’s publishing wing. The Thumbay Marketing and Distribution Company (TMDC) focuses on marketing initiatives in the pharmaceutical, biomedical, medical, veterinary, fashion and education sectors, with the vision of being a partner of choice for all sectors that it works in. This is a bi-monthly, bilingual magazine with a focus on health and lifestyle, and with circulation figures of around 20,000 copies and a readership of over 75,000 people. The magazine has partnered with several internationally recognised institutions such as Johns Hopkins (USA), the Royal Australian College of General Practitioners (Australia), the Mayo Clinic (USA) and the Ministry of Health (UAE) to deliver relevant, current and expert content. 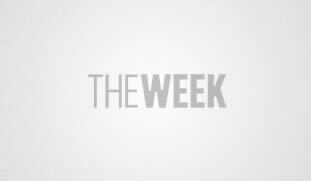 The magazine will launch its own Doctors’ awards by April 2016. The Health Communications Division works towards the creation and delivery of programmes that are in keeping with the needs of a specific group and organisation. Functional since 1999, the division has over 218 events to its credit, which have been attended by over 19,000 professionals. For a company to have achieved such levels of success, it must be built on a strong foundation. This of course, comes from the inspirational force behind the organisation. Moideen stands by a certain work ethic and has ensured that this has percolated down through the organisation. Singular focus: It is very easy for a corporate to get lost along the way, in the course of achieving its goal. At the Thumbay Group, it is about keeping things simple. The company works towards being a “leading business house with a global presence”. All of the work done aims to fulfill this goal. Know what is important: Moideen has always worked on the basis of how many lives he is able to touch in the course of his work. He believes in gaining respect not only from society but from his family as well. All his work towards success is anchored on these principles. Helming such a massive empire is no easy task, yet he ensures that he has time for his family. Humility is this leader’s hallmark. Open to diversification: It is a safe strategy to excel in a single field. Visionaries however, look beyond that and diversify. The Thumbay Group, under the leadership of Moideen, has opened several vistas of business and has successfully excelled in each one of them. These businesses have been diverse, ranging from medical education and healthcare to diagnostics, retail pharmacy, health communication, retail opticals, wellness, nutrition, stores, hospitality, real estate, publishing, trading, marketing & distribution and more. Today, the Thumbay Group employees around 3,500 people. The Thumbay Group has grown at a phenomenal rate and there is no denying that it will continue to do so. Here is a look at the vision 2020 plan and what it is currently working on. 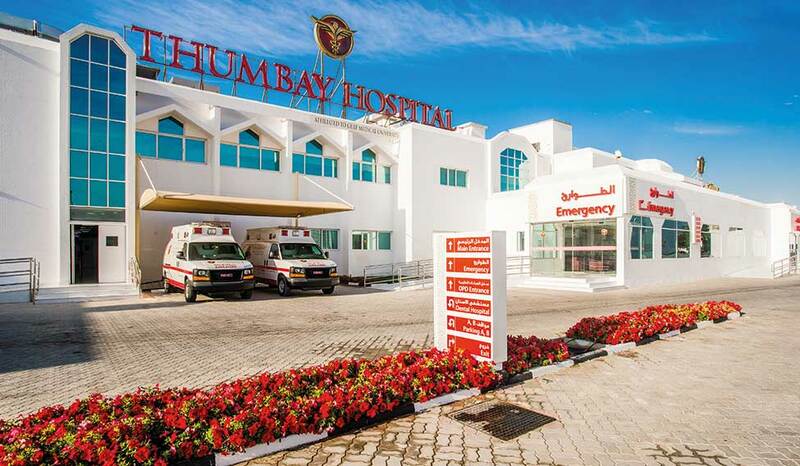 Hospitals: Besides the Gulf, Thumbay now has established a hospital in Hyderabad, India. Plans are afoot to open 5 more hospitals in various metros of India. They also plan to add 15 more hospitals globally, with the ones in Qatar, Saudi Arabia, Egypt and Ghana opening shortly. Education: GMU is in the process of setting up campuses in Ghana, Malaysia and India. Retail: Thumbay Group plans to expand its footprint in retail businesses across the GCC and other countries with 1oo Thumbay Pharmacy outlets, 25 Thumbay Diagnostic centres, 25 Nutri Plus Vita stores and ZO& MO Optical outlets. 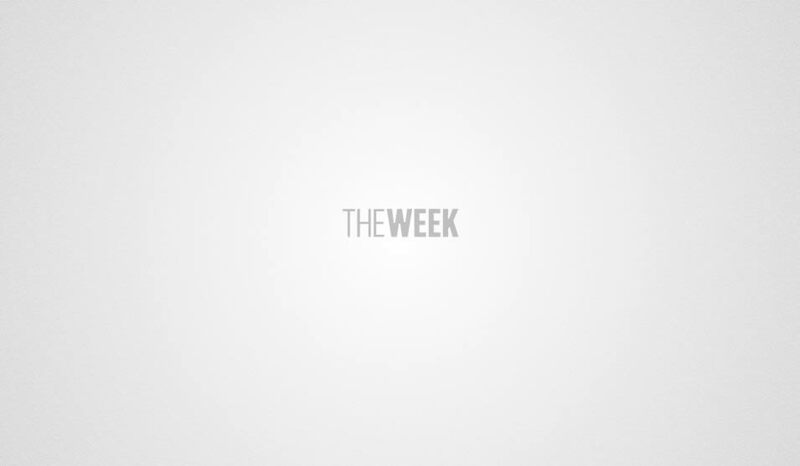 Besides these, there is a great deal of thought going into each of the other verticals. The number of employees will reach 6000 in the next 2 years, and over the next 5 years, Thumbay Group will employ close to 15,000 people. The Group is presently valued at $1.6 billion, and is expected to reach $3 billion with the completion of all ongoing projects in the next 5 years. In this quest for excellence, Moideen continues to be at the helm, steering the organisation towards greater achievements and successes.